Pastor Philip Kopyscinski was saved at the age of nine at the Bible Baptist Church, Wichita Falls, TX under Pastor T.H. Masters. He was called to preach at the age of 16 in a Phil Shuler revival meeting at the Messiah Baptist Church in Wichita, KS. He graduated from Trinity Baptist College, Jacksonville, FL in 1982 and then from Great Plains Baptist College, Sioux Falls, SD in 1992 with a Masters in Christian Education and in 1994 with a Doctorate in Church Ministry. He has served in many staff positions in various churches. He has been a Children’s Ministries Director, Bus Director, Music Director, Christian School Administrator and teacher, as well as an Assistant Pastor. In 1990 The Lord led him and his family to McAlester, OK where they founded and he pastored the Corner Stone Baptist Church until June of 2000. Brother Phil and his family came to Maranatha Baptist Church in November of 2003 to serve as their Pastor. 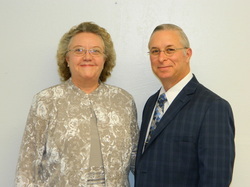 Brother Phil and his wife Rhonda are also honored to teach at Heartland Baptist Bible College in Oklahoma City, OK. Brother Phil and his wife Rhonda were married on July 7, 1978. 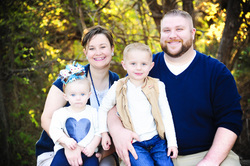 They have two children, Christiana Albers and her husband David, who reside in Moore, OK and also attend and serve in Maranatha Baptist Church, and Philip Kopyscinski Jr. and his wife Tracie who live in Newcastle, OK. Philip is the Youth and Music Director. Tracie is also actively involved in service at Maranatha Baptist Church. Brother Philip J. Kopyscinski was saved at the age of fifteen under the ministry of Dr. Jerry McDonald Sr. while his family was attending the Calvary Baptist Church in Eufaula, OK. At the age of sixteen he surrendered to full time Christian service. He then attended Heartland Baptist Bible College in Oklahoma City, OK. In 2011 he was privileged to start working and studying with his father at Maranatha Baptist Church in Newcastle, OK. He is the Youth Director, Music Director, Assistant to the Pastor, and the Janitor. He enjoys almost any kind of sports, outdoors, and most of all he enjoys spending time with his church family and his personal family. He is also working to get his counseling degree online from Liberty University. In March of 2010, Philip and Tracie were married. Since then God has blessed them with three beautiful children Philip Wayne, Emma Belle, and Thea Grace. Tracie is actively involved with the youth and she is also the piano player for the church.